The past three weeks have been fast and furious around here. I left on the 11th for Beach Week with the student ministry at our church. The kids spent time with their grandparents, and I served on the kitchen staff for the week. One, our food is much better than typical camp food service because it's not food service, and two, I ♥ the team of adults I served with, so I signed up to go again this summer. For the adults that go, it is truly a mission trip because we work hard. Beach Week is hosted by Student Life, and the site we attended was in Orange Beach, Alabama. Our interim student minister challenged our students to invite their unchurched friends, and they really stepped up to it! We took quite a few that were not only new to our church, but new to church in general. It was a privilege to be part of reaching them for Christ and get to know some of them. The speaker was Ed Newton, pastor of Community Bible Church in San Antonio. He had a really interesting backstory, but the best part was how he laid out Gospel living in a plain and real way to the students. Last year, we needed more help in the kitchen, so I had about twenty minutes of beach time the entire week. This time, we had more help and thus had a little more free time. I got to stick my toes in the sand for at least a little bit each day. All in all, it was a great week of serving God, with a little beach bonus thrown in! I was only gone a week, but my family has had some other goings on since then that I'll detail soon, but right now, we're looking forward to settling in for a few weeks of our normal summer schedule: story times, splash park, and probably more pj days than are truly proper. Through the Bethany House Blogger Review program, last week I received a copy of Elizabeth Camden's new novel From This Moment. This is the first book of Ms. Camden's I've had the pleasure of reading, and as of writing this, I have already read a second! A quick synopsis: Magazine publisher extraordinaire, the debonaire Romulus White has no intentions of settling down before the age of 40, leaving broken hearts all over Boston. Stella West is an London-based artist Romulus has been begging for 3 years to come work for his magazine. As luck would have it, he discovers she has mysteriously moved to Boston, and he determines to persuade her to work for him. Stella's move to Boston is more costly than Romulus could ever imagine. While she frantically works to find closure in the questionable death of her sister, Romulus must do battle to protect his precious magazine. My thoughts: This is part mystery, part love story. I found the characters well developed and well described. The language was enough to picture Romulus and Stella in my head and practically feel the dust from the streets of 1897 Boston under construction as they built the first subway in the US. They are colorful and full of energy. Stella and Romulus's foibles perfectly balance one another. On another level, I loved that Ms. Camden tackled the burgeoning electrical engineering industry during this time in American history. As usual, I found myself wanting to know what happens next. While that is not likely to happen as this does not appear to be a series, there is a prequel to the story! In the novella, Summer of Dreams, we discover the love story of Evelyn and Clyde, who play a central part in From This Moment as Romulus's cousin and best friend. If you love historical fiction, this is a great one, with quite a bit of historical fact thrown in! I learned a bit of Boston history, along with a bit about the growth of our nation's infrastructure, presented in a way that enhanced the story rather than appearing as a history lesson. The book was fascinating, and I highly recommend! 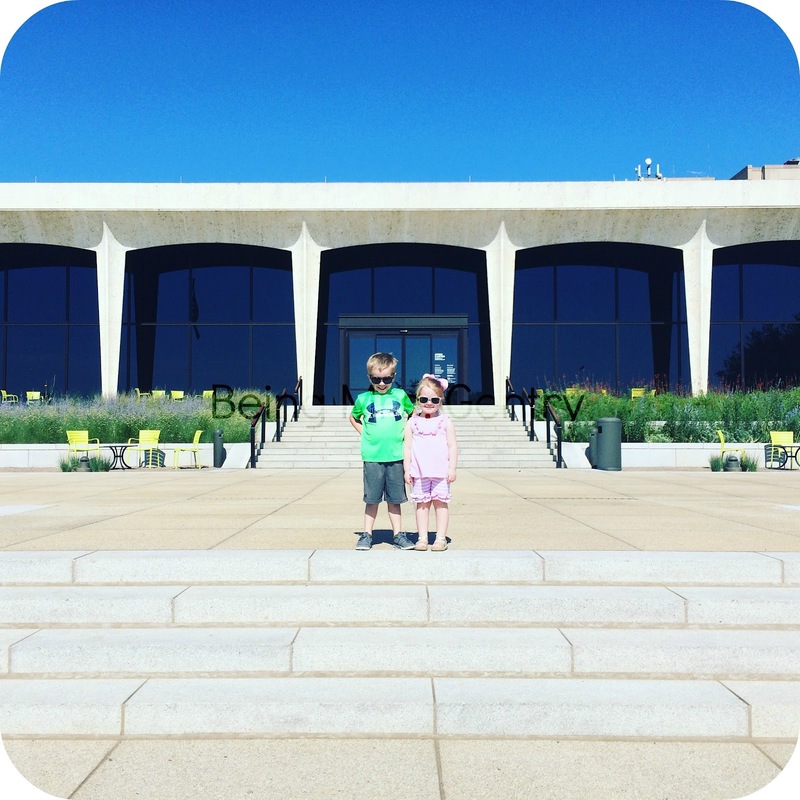 I'm back with another edition of Friday Fave Five, linking up again like I did last week! This week I read this one full length novel, plus one novella that is a prequel, but I cannot get enough! If I can get myself together, a full review for this one will be up next week, which will be a record for me. Easy read, compelling story. If you're going on a road trip this weekend, download this book. The prequel is free (found here), if you want to kick the tires a bit. 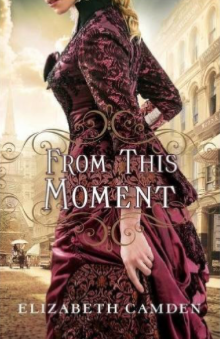 Full disclosure: I received a copy of From This Moment from the publisher to review, but I currently have at least one other novella and novel of Camden's downloaded on my own. 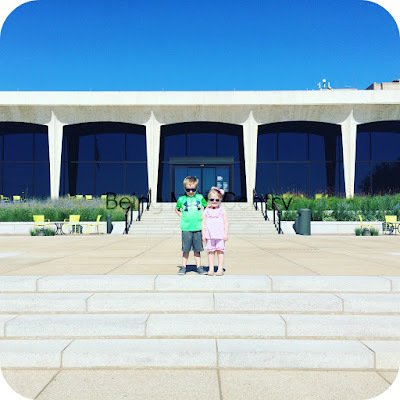 We visited the kick-off of this summer story time series last week and had a great time. It's an incredible program, really, that they let children get up close and personal to the artwork while providing a top notch story time. I'll be back next week with more details around this, because I think it's my favorite little kid thing here right now in Fort Worth. Already a pattern has emerged in my summer style choices. 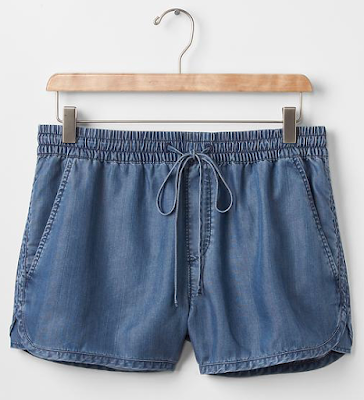 If I'm not in a swingy dress (a la last week's FFF found here), I'm constantly reaching for these shorts. They're easy wash and wear like athletic shorts, but more chic. They go with everything and have awesome pockets. After years of little attention to my skin, this year I'm slightly obsessing. One of my Pure Barre clients is a dermatologist, and one lovely Saturday morning at the barre, we got on the topic of sunscreens for face because everything I use stings like fire. She says we should all be using products with good old fashioned zinc oxide and brought me this to try the following week. I give it two very pale thumbs up. The last matchup between A&M and TCU was epic. I'm hoping this one will be much less dramatic. We cheer for the hometown team (TCU--we live in Fort Worth) unless they're playing our Aggies, then we're out! We'll be yelling super loud for the Ags to BTHOTCU and wearing every bit of maroon we can find. Through the Bethany House Blogger Review program, I recently received a copy of Roseanna M. White's latest work, The Reluctant Duchess, for review. 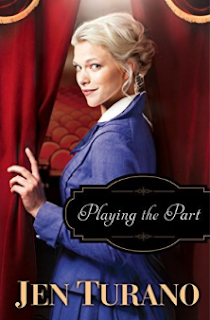 This is the second of three books in her Lady of the Manor series. 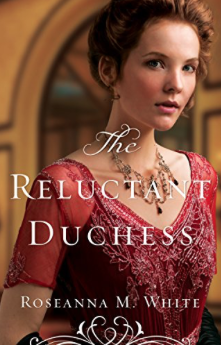 I loved the first book, The Lost Heiress (review here), so when the opportunity to review this one hit my inbox, I jumped on it! I couldn't wait to know what happens next. A quick synopsis: We pick up some time after The Lost Heiress where recently the charming Brice Meyerston has inherited the Duchy of Nottingham. On a trip to Scotland, he finds Lady Rowena in a desperate situation. The handsome, wealthy, society sought-after Duke offers his hand in marriage to her in what seems like a lark, but really, he feels that God has moved him to do so out of compassion to Lady Rowena. He is certain that she is meant to be his wife. The new Duke and Duchess of Nottingham now find themselves in the middle of danger from all sides, as they attempt to first, become at least acquainted with one another, and second, hopefully fall in love and find happiness in their marriage. Conflicts in the previous book pick up right where they left off. My thoughts: Right off the bat, I'd like to mention that I've read this book cover to cover at least 3 times since it arrived in April. It has some really great swoon-worthy moments. You know--those particular passages that you want to read over and over again. Am I the only one that does things like that?! While it reads somewhat like a fairy tale, there is a redemption theme for all of the characters. My only disappointment is a piece of the ending. We are left scratching our heads at a big, unanswered question--a blank space in a very important conflict in the story. My guess is that it will be wrapped up in a nice bow in the final book, but there was no storyline prep done here for the final outcome. I can't wait to check out the last in the series! Our first June weekend came and went without a lot going on. The rest of June is busy, so that's perfectly fine by me. The kids have been in swimming lessons for the past two weeks, which just piled on to the already busy end-of-school. They were tired. It was overcast all day long, and I think all of our moods matched it, so we ordered in pizza and read another chapter of Charlotte's Web, our current bedtime story. I haven't read it or watched the movie in a long, long time, so I was slightly horrified when the goose's thoughts turned to fattening Wilbur up for the Zuckerman's Christmas dinner. This led to a nice little discussion about what's going on when we eat ham for Sunday lunch at Grannie's house. Good times. Saturday was a routine day of regular life: housework and parenting. We met our supper club friends in Burleson that evening for tacos and snow cones. I've posted several times about this group, but we had a good laugh off of how well rested and fresh we looked in this post. We only occasionally get sitters to meet up, so we have to be creative about where we eat. There are 18 of us including children--hence the tacos and snow cones. This Sunday was a unique day for us because it was our first day serving in the children's department at our church! Mr. G is teaching 6th grade guys Sunday school, and I'm just doing whatever I'm told. I had a lunch meeting for adults going to student camp as sponsors, followed by another meeting later that afternoon for the strategic advisory group I've been serving with. I've loved being part of it as I get to bring some of my work experience out of retirement to serve God! Requirements documents, anyone? So that was a long day for me. While I was there, Mr. G held down the fort at home. 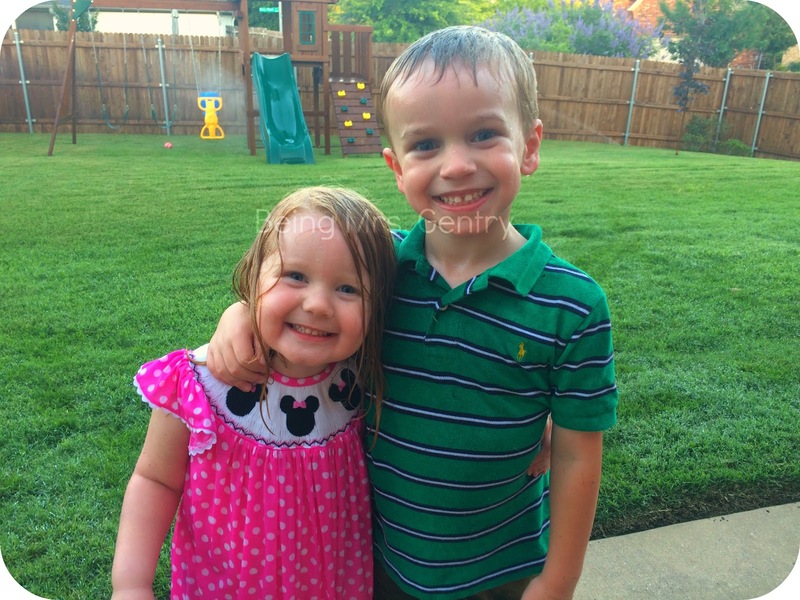 When I got home, we played in the sprinklers. Now we're back here to Monday. Time to get started on laundry and finish the sprint up to VBS this week! This the first time in a lonnnnnng time I've done a link up! It sounded fun to bring back the FFF, so here are my Friday Fave Fives for this week. drybar opened in Fort Worth a few weeks ago. It's super close to TCU, and right across the street from University Park Village, the best shopping center in town. 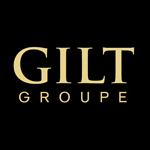 (Think Kendra Scott, Anthropologie, Apple Store. You know--THAT kind of shopping.) Last week, they stopped by Pure Barre to do braids to help celebrate PB's 3rd birthday in Cowtown. (More of my PB obsession here, here, and here.) I found out that you can stop in for a braid at drybar for only $10, or add one to your blowout service. They do little girls' braids for even cheaper, I think. Since I cannot braid little girl hair for the life of me, this is an excellent development. 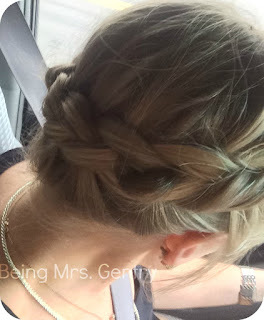 My drybar braid. I loved it and wore it for 2 days. I was not driving when I snapped this pic, Mom. I should be embarrassed by how many days this has allowed me to go without washing my hair. Spreading the drybar love during the braid bar, they left a sample at Pure Barre for post-workout hair. 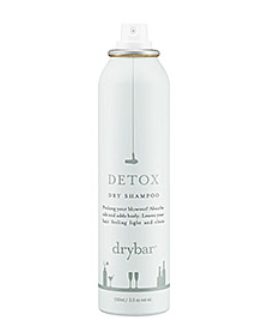 This might be the best dry shampoo I've tried. Found here. If you see me this summer, I'll probably be wearing this dress somewhere. In multiple colors, but in particular navy and white is on sale now. 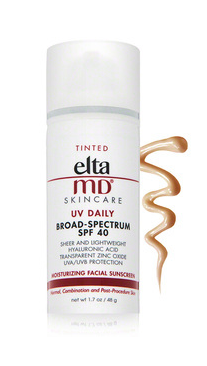 Inexpensive and breezy. Found here. Back in the dinosaur ages, we would print out a whole roll of film and have all those pictures to flip through. After our trip to Disney, I wanted easy access to all our pictures, but obviously I'm not going to frame all of them. I looked through multiple photo book vendors and thought MPix software was the easiest to work with and least system intensive (think amount of time it takes your webpages to load). I also wanted plain pages with no clipart or journaling, so this fit the bill. Our Disney book turned out great, and now I'm trying to decide if I want to make books of our last several years of pics. I chose the charcoal art cloth cover--a nice darker gray that won't show dirt from the little hands that love reliving our trip. I sprung for the gold imprint on the front bottom corner. Found here. If you need me, I'll be watching the NCAA baseball tournament this weekend. Like everyone else on this side of the world, last week was super hectic as we wrapped up school for the year. Who would have thought that preschoolers would have such busy ends of the year? But they do. Especially when you have one graduating pre-K.
Do I really have a child old enough for kindergarten? His graduation fell on my husband's birthday, which is part of the reason we celebrated it through the weekend. 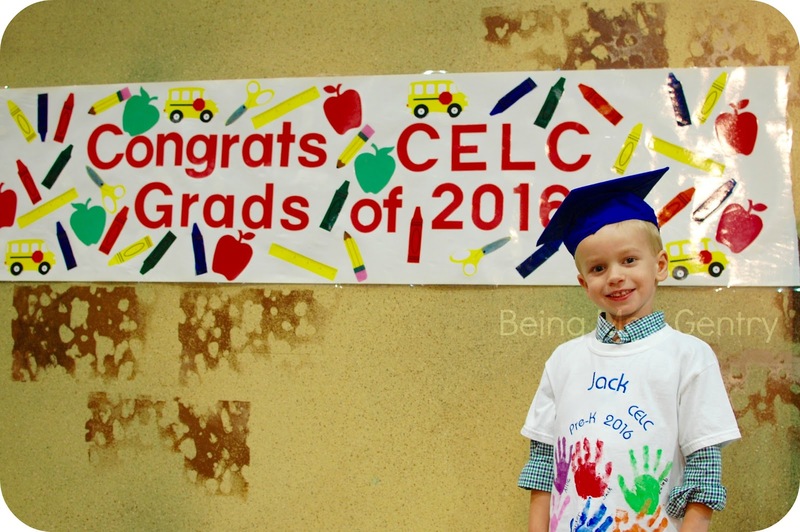 For us, "graduating" preschool seemed like a bigger milestone than finishing kindergarten will be, but who knows, we may do it all over again next year! I bought a cookie cake with "Kindergarten, Here He Comes!" on it, and we went out for supper at Joe T's with grandparents. It seems only months since I made the decision to stay home with this guy, and now he's leaving me for big kid school. I'm excited for all of us, but especially for him. We've already seen how it has enlarged our community, and it's not even the first day yet! He is a learner, and he's going to love school. 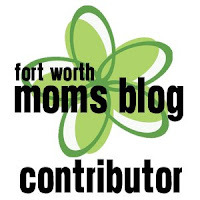 If you're going to be a new kindergarten mom like me, I ran across this post from Dallas Moms Blog. I love how she mentions making new friends for all. I think school has a way of carving a tight knit community out of a big city.